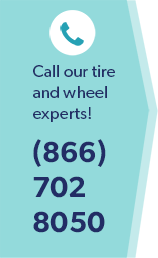 Most folks around Burke, VA are "in the know" when it comes to where to go for auto repair, maintenance and brake services on domestic and foreign cars, sports utility vehicles (SUVs), and light trucks. They know that finding a reliable auto mechanic with a quality commitment to customers and the safety of their vehicle is not easy. Wiygul Automotive Clinic works hard to maintain customer loyalty and values the opportunity to perform maintenance and services to keep their customers’ vehicles running at their best. The Wiygul Automotive Clinic family has taken great pride in always being an honest and reliable brake service and repair facility. Part of the important work Wiygul Automotive Clinic provides customers in Burke, VA is impeccable brake service. One of the most critical features of any vehicle is sound working brakes. Making sure brakes are working properly is paramount to safety. And the mechanics at Wiygul Automotive Clinic in Burke, VA promote customer awareness of how a vehicle’s brakes work, and alertness for signs that the car’s brakes need maintenance. According to experts in Burke, VA, some points to be aware of, determining brake service and maintenance, include potential problems that can be addressed by using hearing, sight and touch. When any of the common signs suggest a potential brake system problem, maintenance mechanics at Wiygul Automotive Clinic can be relied on for excellent brake service. Sounds or sensations in the brake system that seem out of the ordinary should always be taken into consideration for a brake check-up. Most times, brake system problems will only escalate if disregarded. Customers at Wiygul Automotive Clinic are "in the know" regarding reliable mechanical and brake service with their vehicles.